When you rely on PaaS providers and use their obviously attractive cloud services, think over a reliable solution to protect your cloud data and applications. 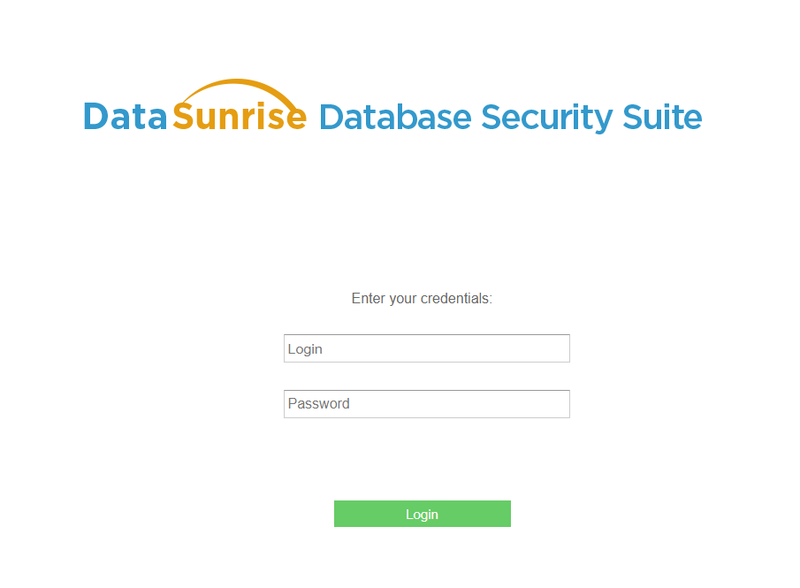 DataSunrise Database Security, Data Masking and Compliance Service allows to move your data to the cloud with the highest level of protection and confidentiality. 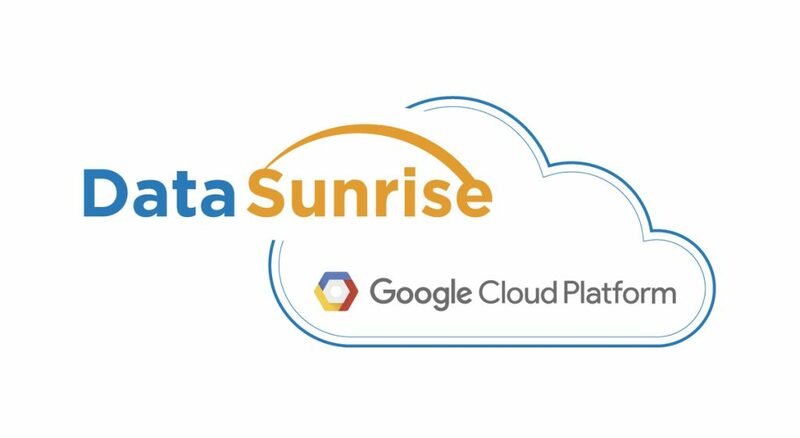 If you entrust Google Cloud Platform with storage of your sensitive data, choose DataSunrise for comprehensive real-time protection. To do so, follow the instruction below. First, deploy DataSunrise on Google Cloud Platform using Cloud Launcher. Enter “DataSunrise” into the Search for solutions search bar. 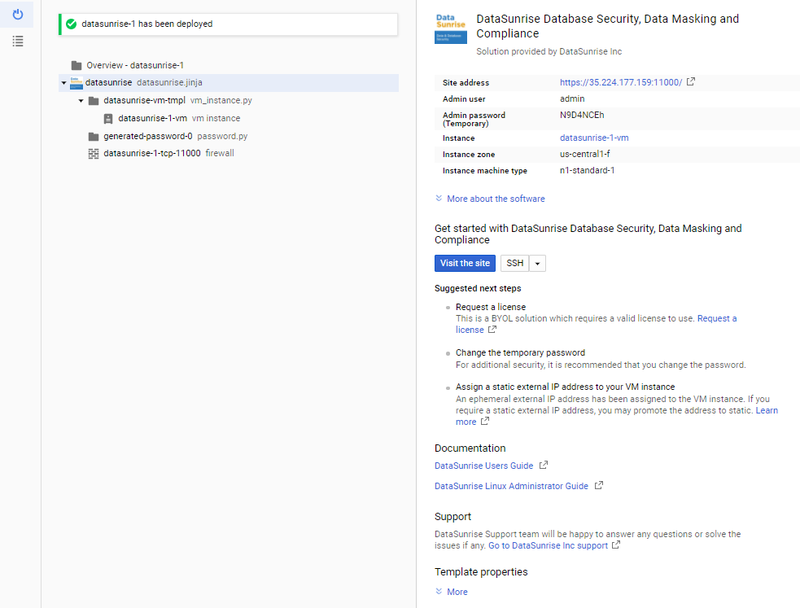 Click the “DataSunrise Database Security, Data Masking and Compliance” icon. Click the “Launch on Compute Engine” button to start deployment. Fill in the required fields and click “Deploy” to complete the Launcher process. Now you are able to run DataSunrise. To enter the DataSunrise GUI, click the site address in the top right corner. Here you need an admin user and admin password as well. 2. Use “admin” as a login and an admin password as your temporary password. Click Login. 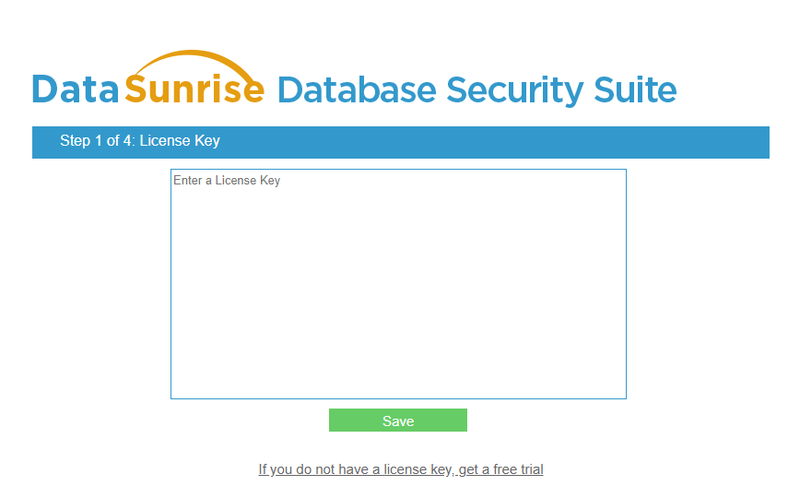 Enter your DataSunrise license key in the appeared field. Get it, if you don’t have one. Click the link below the field to get a free trial. To download the trial version, fill in the required fields indicating your operating system and a database type. Click the “Get Key” button. A trial license key will be sent to the specified e-mail address. Copy and paste it into the GUI window requesting the license. Click “Save”. 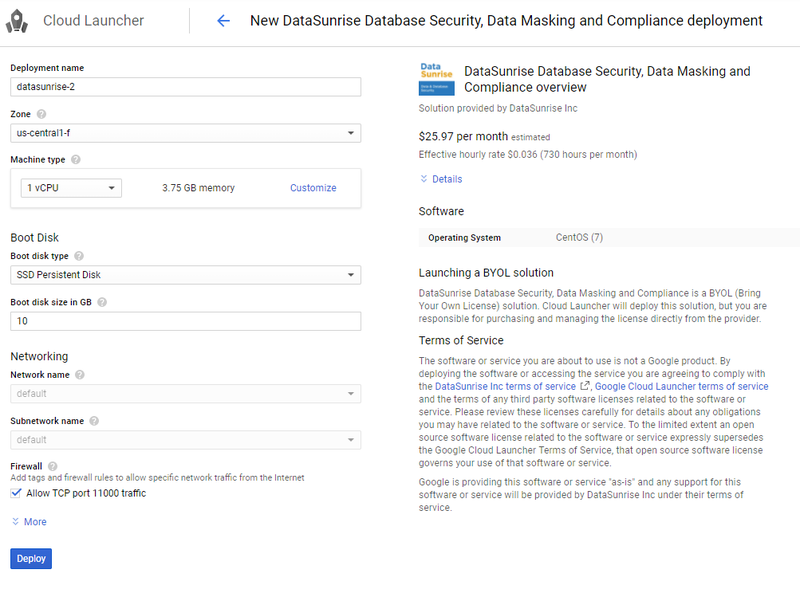 DataSunrise Database Security, Data Masking and Compliance is now ready to protect your sensitive data in a cloud-based environment. 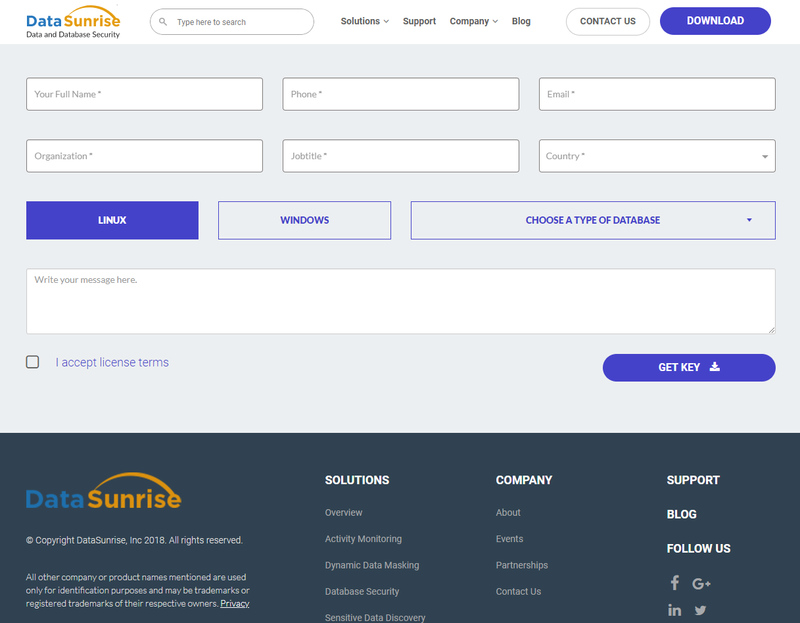 For more information, refer to the DataSunrise User Guide and DataSunrise Administrator Guide (Linux).